1. 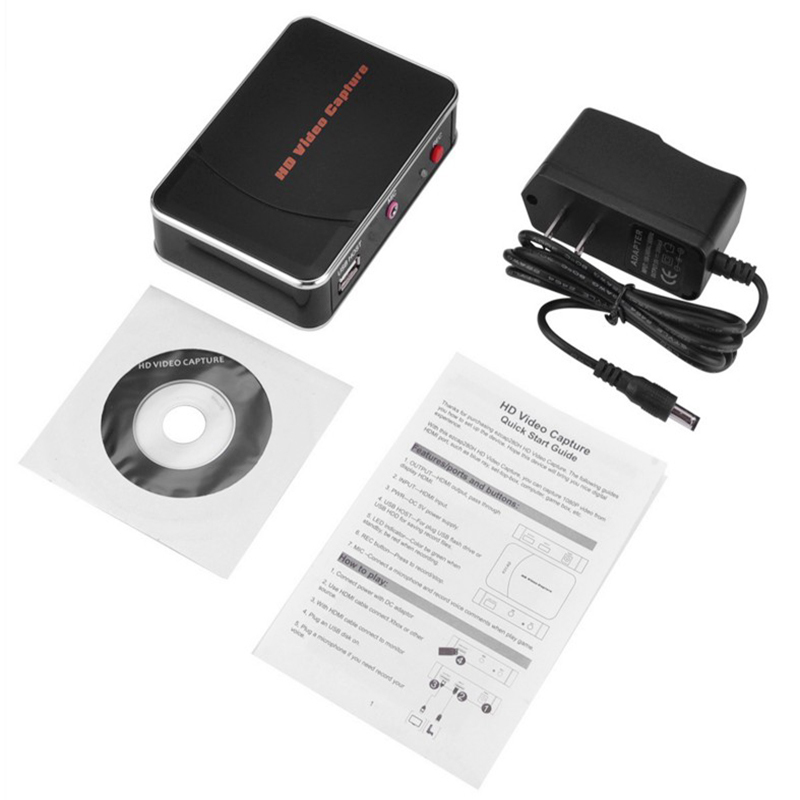 Plug and play, no driver, no need to go through the computer, one-click recording. 2. 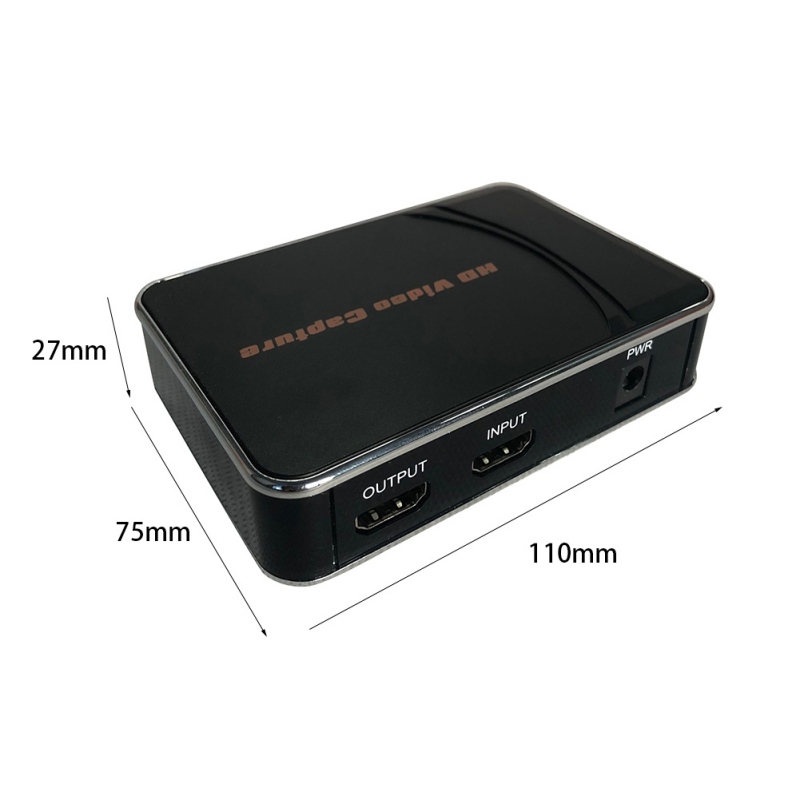 Support SD/HD video signals with an acquisition resolution of up to 1080P. 3. 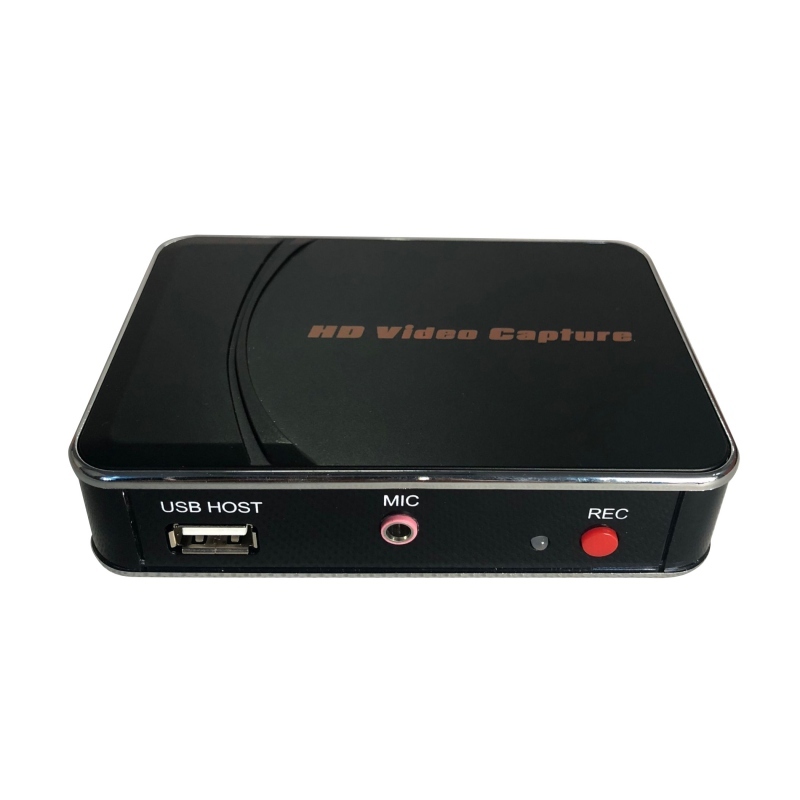 HDMI video input and HDMI video output, while storing video to U disk. 4. With professional video editing software, you can edit and upload videos. 5. The back cover is mesh-shaped, which is good for heat dissipation. 6. 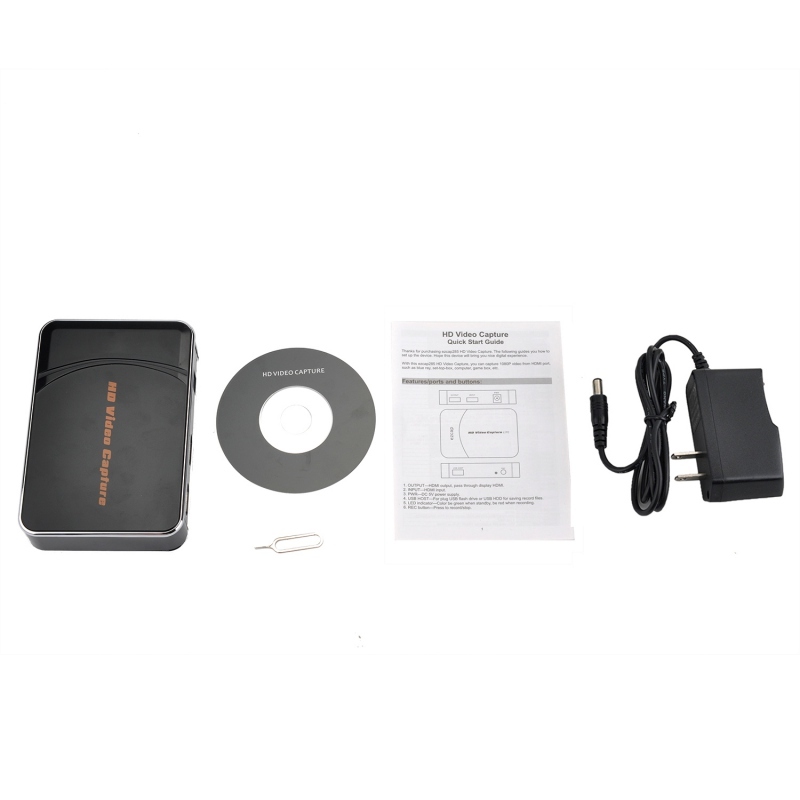 Can be equipped with power according to customer needs. 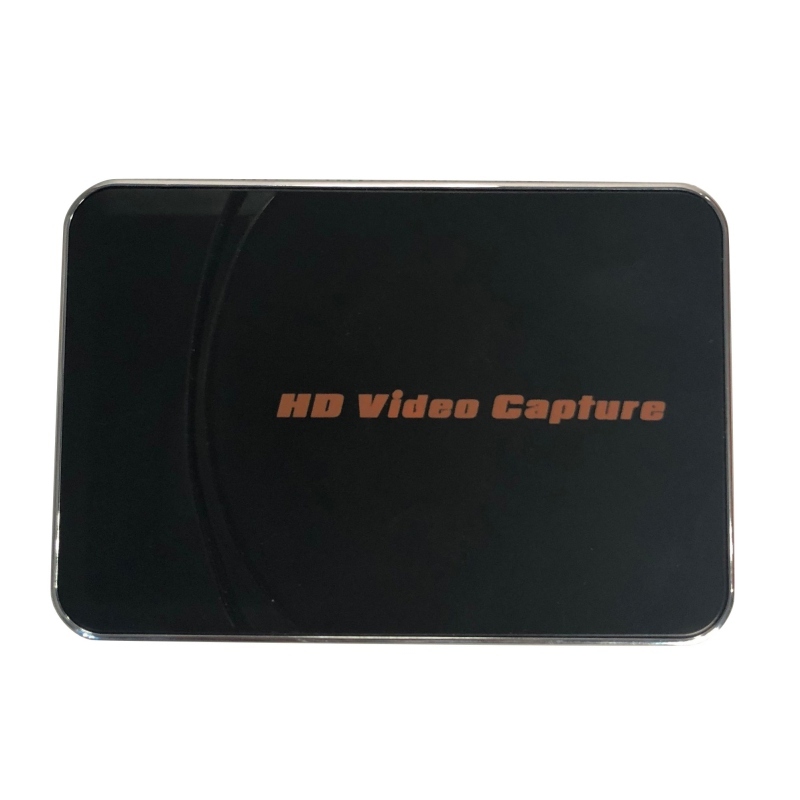 1080P hard pressure real HD recording, no computer requirements, a button to record anytime you want to record! 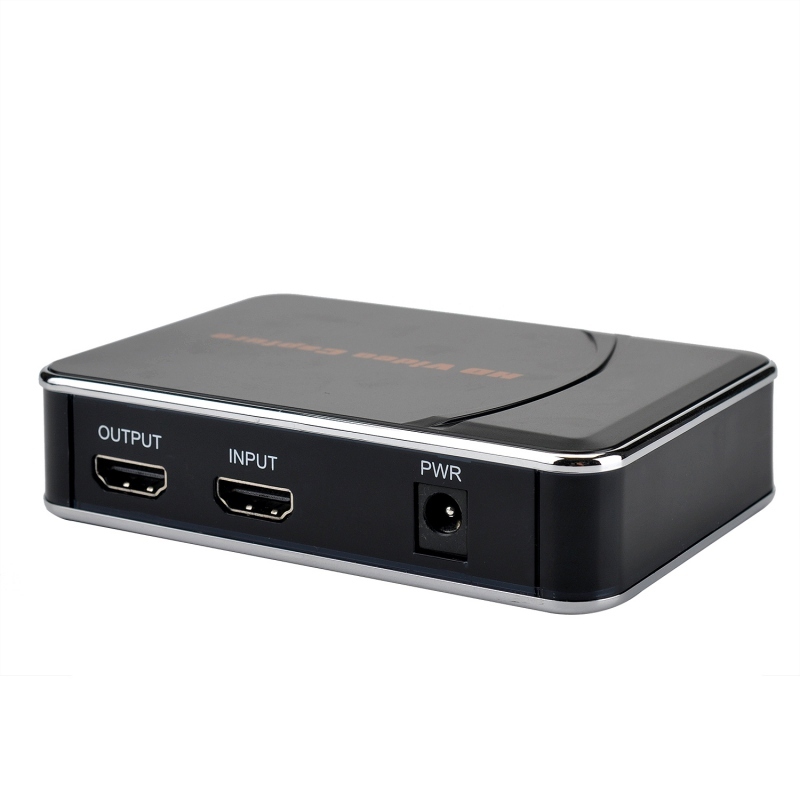 With high-definition HDMI output, recording games can enjoy the fun of playing HD games at the same time. 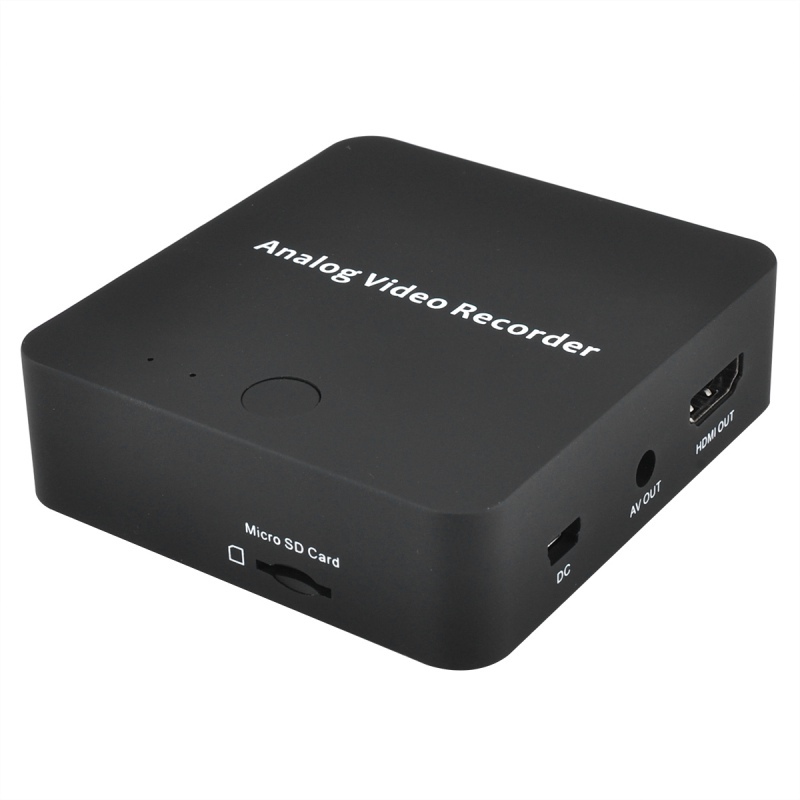 Easy to use, without any settings, just press the “Record” button to start recording, and press again to stop recording. With luxury video editing software, you can easily edit and convert according to your requirements. The value of the software is enough for you to pay! 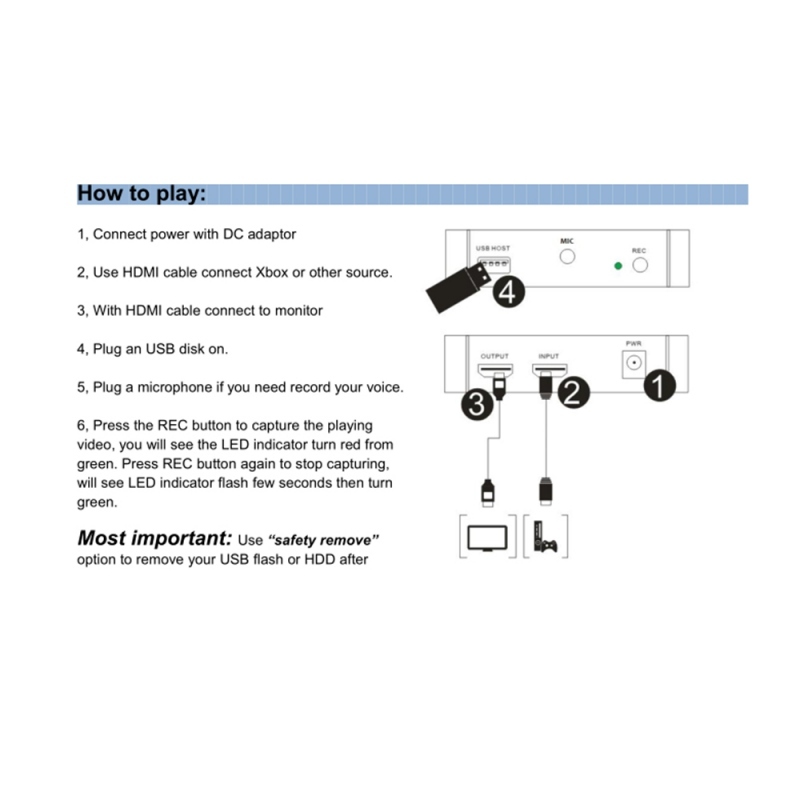 Note: The recording is consistent with the input resolution and does not support lifting resolution.